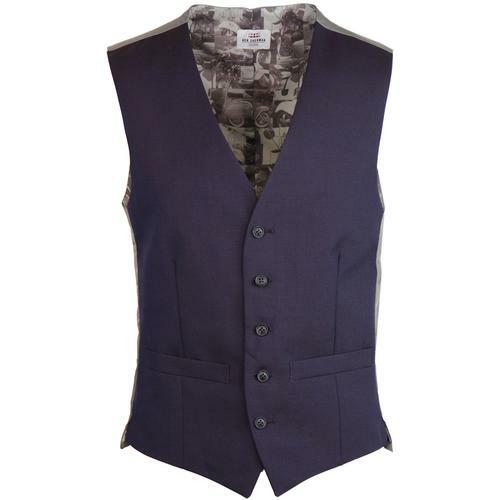 Farah 'Sandfield' Men's Retro covered button double breasted waistcoat. Perfect for that tuxedo dinner suit look, the refined and sophisticated fastening is both unique and eye catching. Featuring a classic V-neckline and sheer grey reverse panel with Retro tab adjuster. 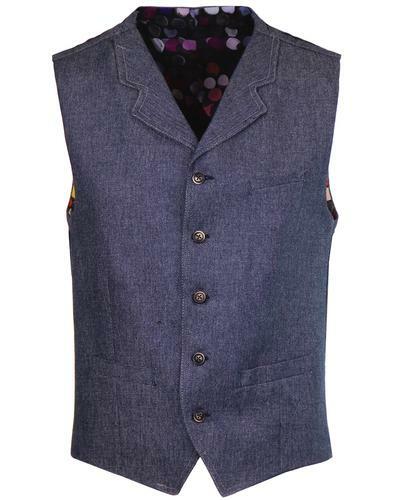 A cool tailored Mod vibe, this Farah waistcoat look great teamed with the matching dinner jacket and slim leg trousers for a classic 3 piece suiting option. 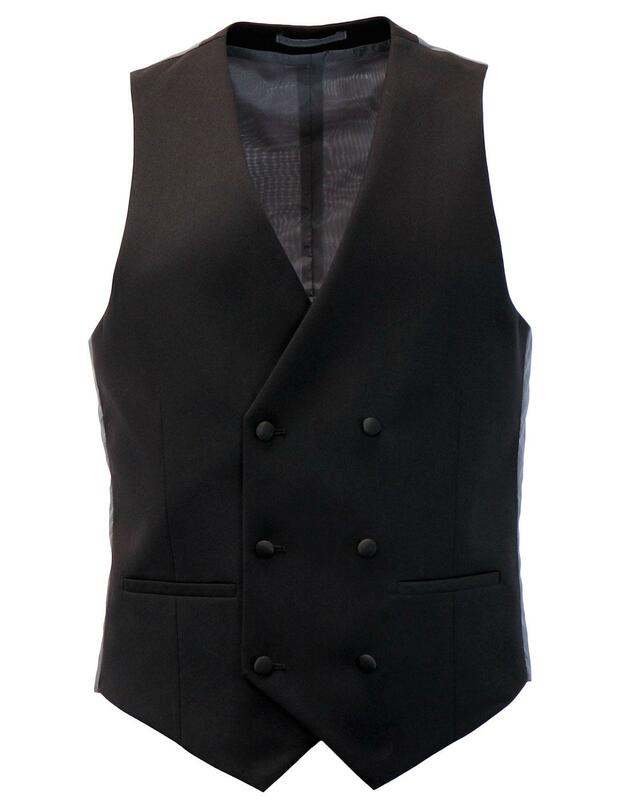 - Farah 'Sandfield' men's retro double breasted waistcoat in black. - Grey reverse panel with back tab adjuster. - Two pockets to sides. 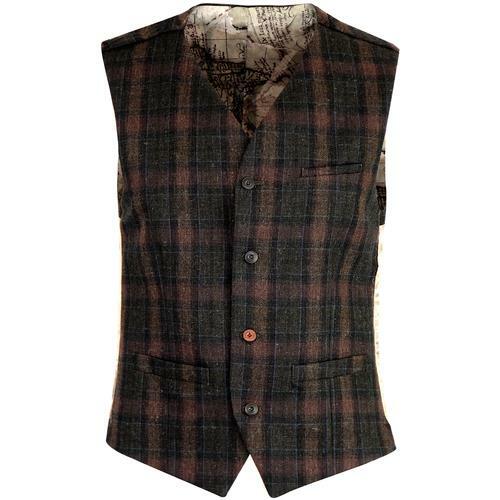 - SKU: F4VF70K0 'Sandfield' Double Breasted Waistcoat. Composition: Shell: 75% polyester, 24% viscose. 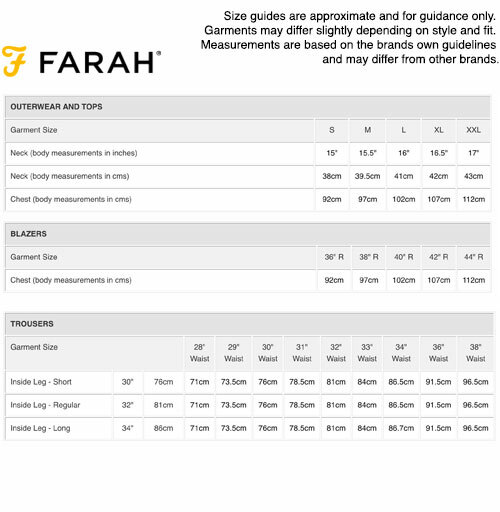 Lining: 100% polyester.